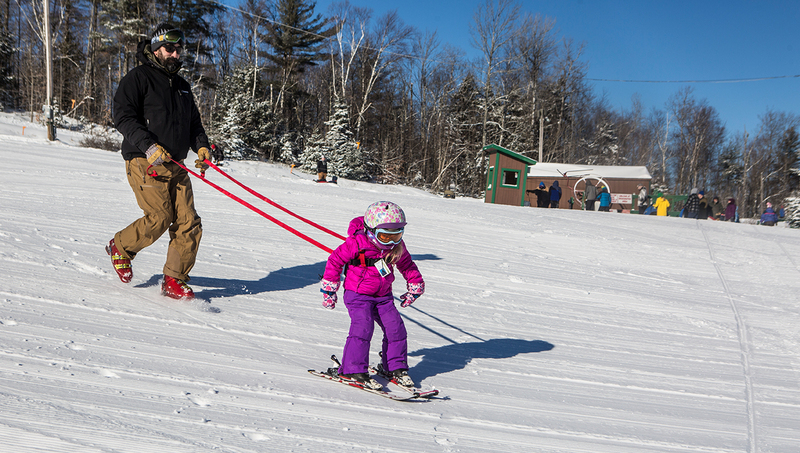 Pisgah, as it’s known in Saranac Lake, is a classic “small town” Adirondack skiing spot. 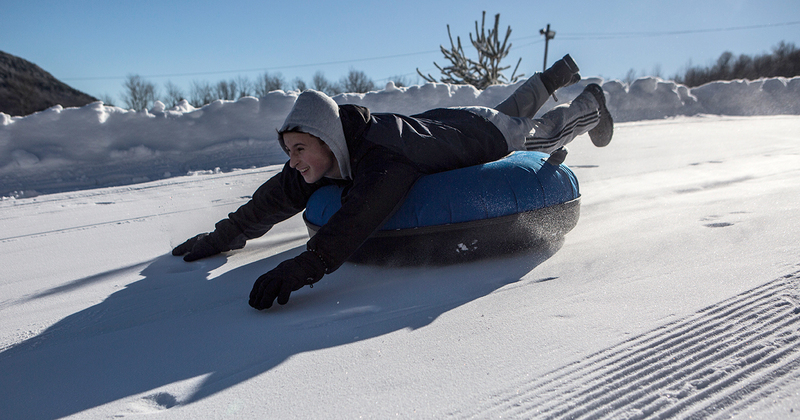 The gentle slopes, dedicated staff, and welcoming atmosphere make it especially inviting for family skiing and tubing. Many green and blue trails for beginners out of the 15 skiable Alpine acres. Vertical rise of 329 feet. The lift is a T-bar which allows skiers to choose the length of their run. Bonus: Lights for night skiing! This comes with all the thrills including taking you back up to the top with a rope tow. Two runs for inner tube “races” but we aren’t telling you which one is faster. 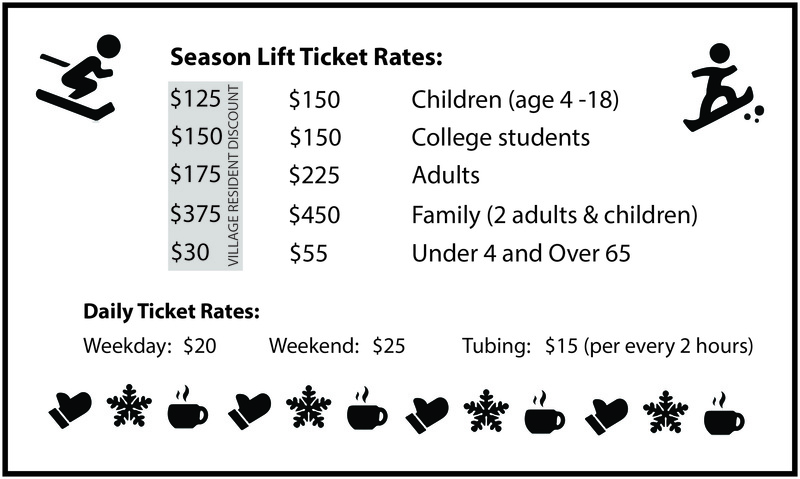 Skiing and snowboarding lessons available with a six-week Learn to Ski package. 3.5 kilometers of snowshoe trails with beautiful vantage points to see the vistas. Pisgah is well situated to view the McKenzie Mountain Wilderness and the Saranac River. Enjoy hot beverages and snacks near the centrally located, native stone, fireplace. Broad windows let you watch the skiers across the whole slope. Monday - Friday 3 p.m. - 8 p.m.
Saturday - Sunday 10 a.m. - 4 p.m.
Thursday - Friday 3 p.m. - 8 p.m.